I am postdoctoral research fellow in Dr. Venkatesh Murthy’s laboratory where my research interests involve understanding sensory processing, including the neural mechanisms by which internal representations in the brain are made from external stimuli. The current focus of my research is using optical methods to understand how olfactory stimulus information is encoded by specialized neurons in the nose. 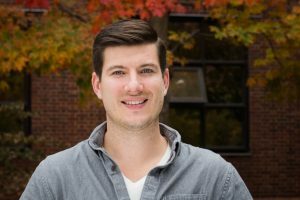 My past research experiences have provided me a diverse background, ranging from molecular biology to electrophysiological and imaging techniques, that will help me pursue these questions. Prior to arriving at Harvard, I received my Ph.D. in Neuroscience at the University of Colorado Medical School where I used electrophysiological methods to study neural circuits in olfactory bulb glomeruli. Currently, I am supported by an Individual Predoctoral Fellowship (NRSA) from the National Institutes of Health.